Remember this post from last October? Does the vest look familiar? Maybe it does because it is! 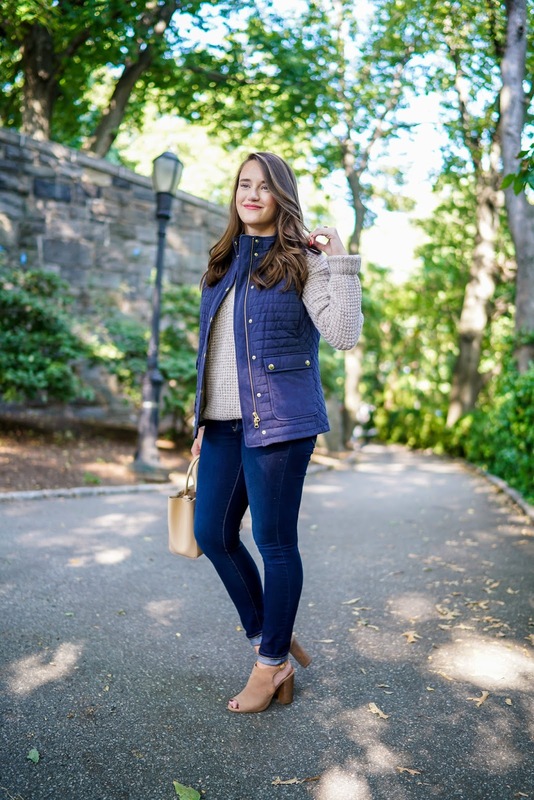 Vineyard Vines came out with some fall items and I am SO happy that they brought back my favorite vest in navy. It truly is the best vest I own (yes, better than J. Crew) and I wore my olive one so much last year I had to snag the navy. 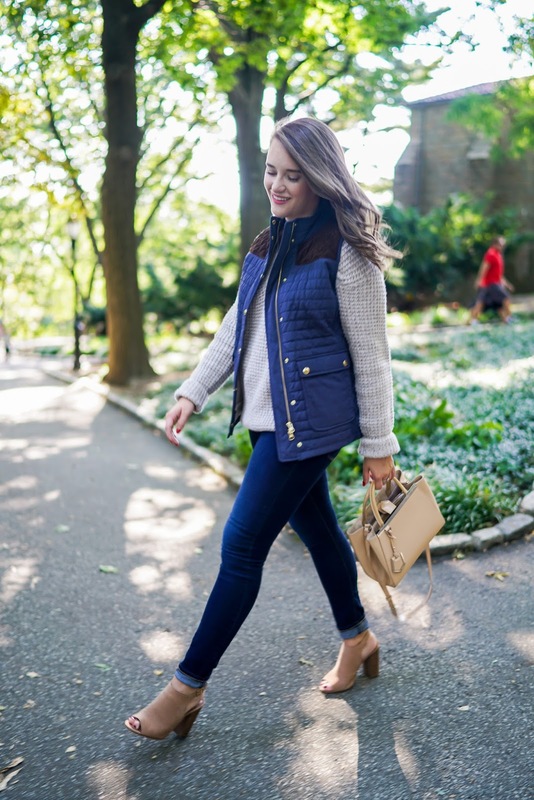 Is there anything better than a vest + sweater combo for fall? (answer: no) I'm so excited the weather has calmed down a little and it's truly starting to get cool. This past weekend when we took these the weather was perfect. There was a cool breeze, the sun was out -- you couldn't have asked for a better day. Andrew and I took these photos up near the Cloister museum and after we went home we hopped on some bikes, road down to Battery Park (near One World Trade), played cards by the water, saw Snowden and had Shake Shack for dinner. It was honestly the perfect night -- minus the attack on the city. Thankfully we were very far away, and VERY thankfully, I don't live in Chelsea anymore. The second device was right near my old apartment ... Scary! Anyway, I'm very thankful for the men and women who keep us safe! 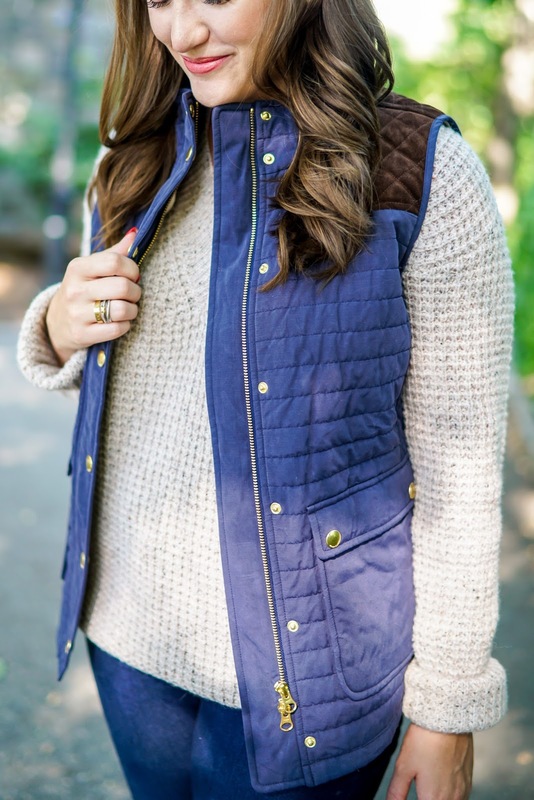 Adorable vest/sweater combo! Send that fall weather to South Florida! I adore that vest! So so so cute! 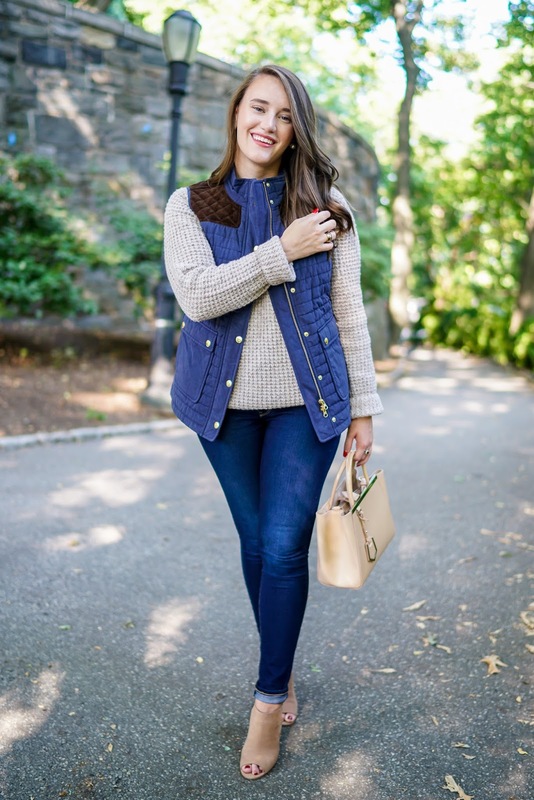 Love this sweater and the vest so cute! 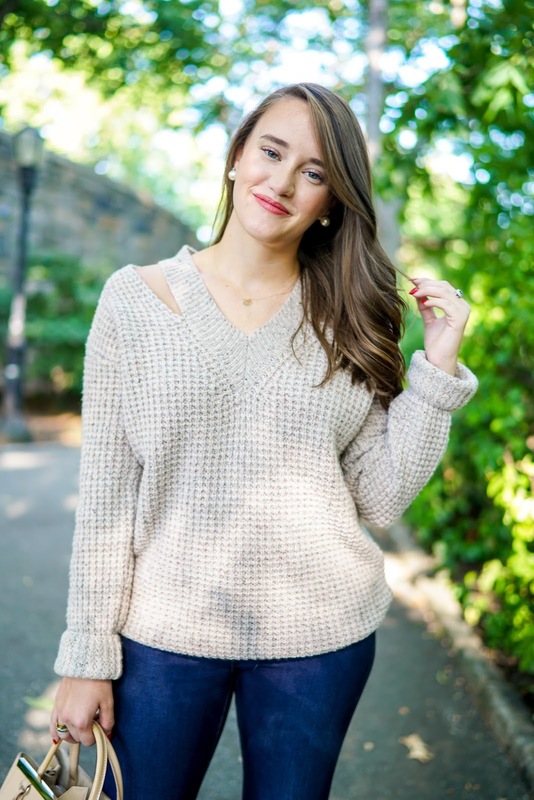 Ugh, you have me itching for Fall! 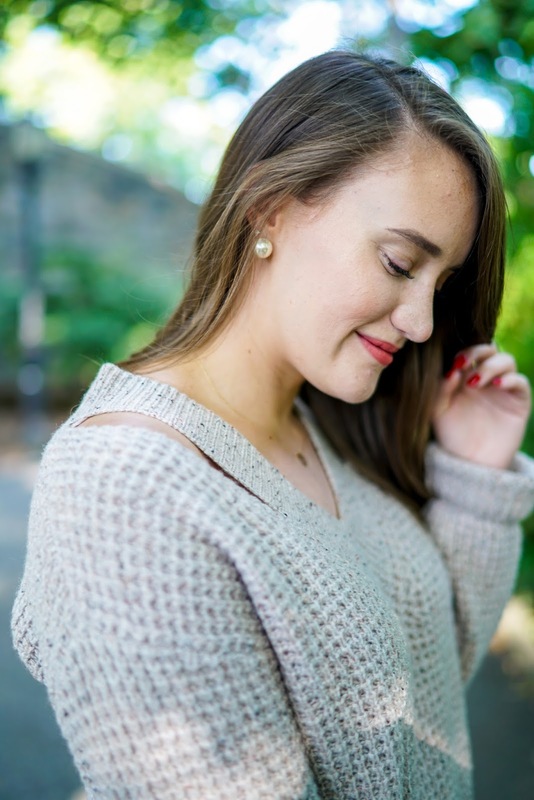 I love this casual cozy look! Also - Saturday was definitely scary, but it was kinda awesome to see how we bounce right back as New Yorkers. Glad you're safe too! Beautiful as always! Can't wait for fall. on a lighter note, I absolutely love your outfit. sending peaceful vibes & prayers to NYC. 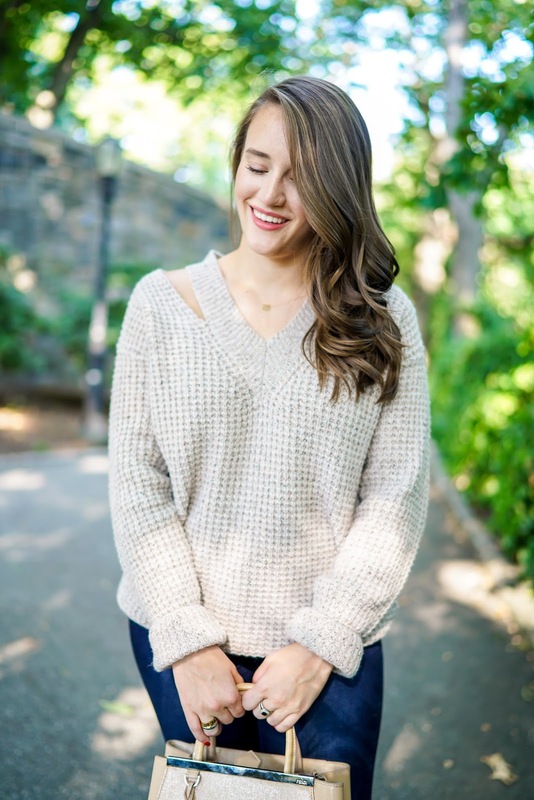 Ah everything about this screams fall, it's so perfect! 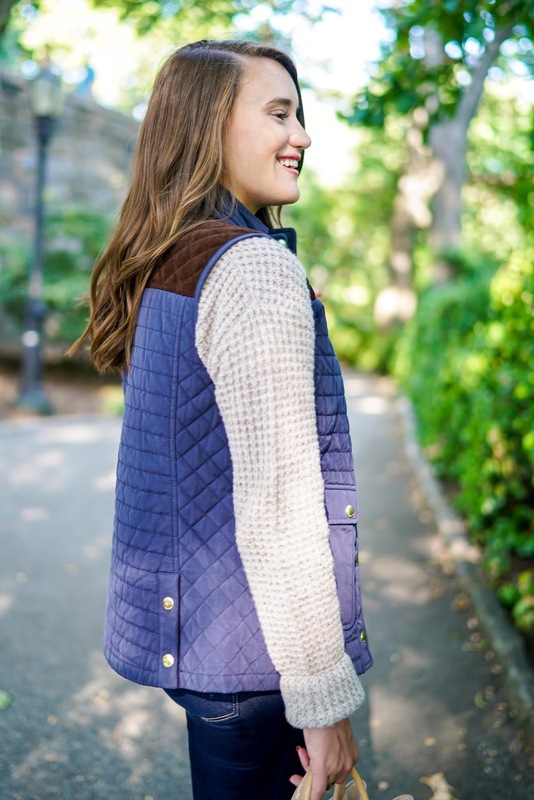 I love the colors of the vest, the blue and brown combo is perfect.